Inge's report on Dusseldorf concert and meeting with Tarkan! WE MOVED! PLEASE FOLLOW US on FACEBOOK! TarkanUnited. » If Tarkan was a...WOMAN! talk with Tarkan, and we had a wonderful concert. he said hi to everyone. We took pictures of course. he looked good like this, but should not lose more. And I said, that Hyke said, we wanna look at you, not through you! Inge: we went online with the fanclub website tarkaninternational. (I had brought printscreens but forgot to give them). discography, we want it all to be perfect. Tarkan: I can't, I have to think about it well..
worked perfectly. He looked awesome. to talk with them beforehand. hotel. She gave the name of the hotel. without Marleen and Christelle, because they had already left. 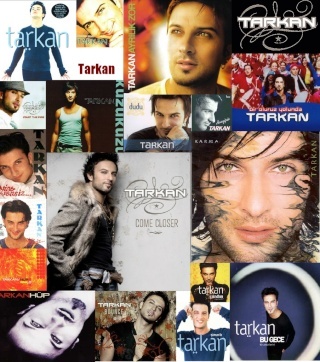 also able to talk with Tarkan. I showed him the printscreens of our website. He loves the website!! good, its difficult to translate. we would love to hear because we want to have good translations. off, back home. I said bye to Tarkan and said, see you in Amsterdam. Big hugs, and we were off. TY POSTOY, POSTOY, KRASAVICA MOYA! you're our eyes and ears off the stage !! Subject: Re: Inge's report on Dusseldorf concert and meeting with Tarkan!